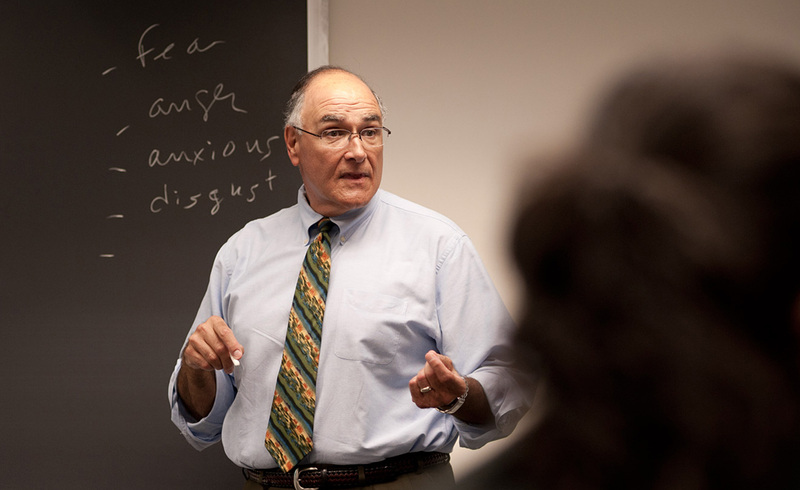 Candid photograph of a male professor lecturing at chalkboard at Bentley University in Waltham, MA. using available light for promotional publications. A long lens was used to create shallow depth of field.